Huawei has been focused on shifting its lineup towards more upmarket segments, figuring out that’s where the real money is. 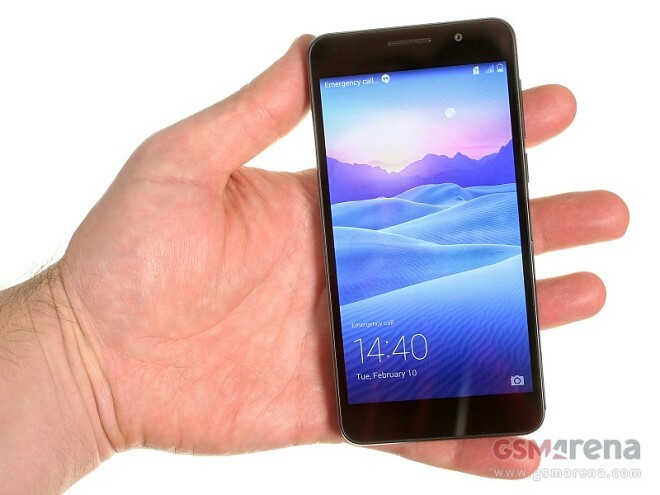 The Honor 6, which recently showed up at our office, is one prime example of the Chinese company’s new strategy. The smartphone immediately evokes comparisons to the Sony Xperia Z3 compact. Its a similar all-glass design that looks classy until you touch it, at which point it gets instantly covered in fingerprints. Either way, the smartphone is well put together and compromises haven’t been made in terms of materials or build quality. The outer frame poses as brushed steel, but is in fact made of plastic. It’s a good-looking accent, ruined somewhat by the flap covering the SIM and microSD slots. The USB port is left uncovered at the bottom, making daily charging tasks less of a hassle. The device is built around a sharp 5-inch FullHD display which utilizes IPS technology. The panel is nice and bright, with good color rendition and viewing angles. The smartphone is powered by Huawei’s in-house Kirin 920 chipset paired with an ample 3GB of RAM. Our review unit came with 16GB of built-in storage, but a 32GB option is available, and expansion is possible via microSD, as already mentioned. Imaging department is well covered, featuring a 13MP main camera at the back and a 5MP selfie-snapper. A generous 3100mAh battery promises adequate autonomy. The Honor 6 runs on Android KitKat, but with Huawei’s EmotionUI bolted on top. It’s so thoroughly customized that calling it a skin would be an understatement. As with many Chinese overlays, it draws inspiration from iOS and does away with the app drawer with all apps appearing on the homescreens instead. Our brief video below can give you a general impression of the user interface. Naturally, we’ll run our comprehensive test routine in the coming days, so stay tuned for the full review.